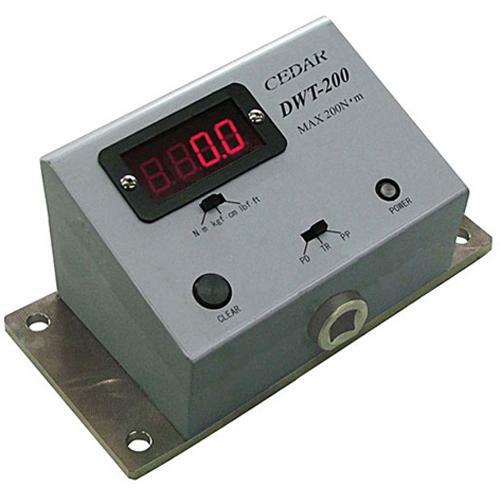 DWT-200, digital torque tester incorporates a proprietary peak down capture mode that calibrates manual torque wrenches up to 1,500 lbf-in with an accuracy of ± .5% F.S., ± 1 LSD. 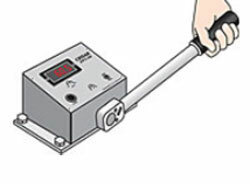 Other features include selectable Peak Down, Peak, or Real Time measurement modes and selectable units lbf-in, kgf-cm, N-m.
DWT-200 torque tester automatically captures the peak down torque, when the torque wrench clicks (breakaway torque), even though the operator may apply additional torque. This allows an unskilled operator to achieve the same accurate results as a skilled operator. 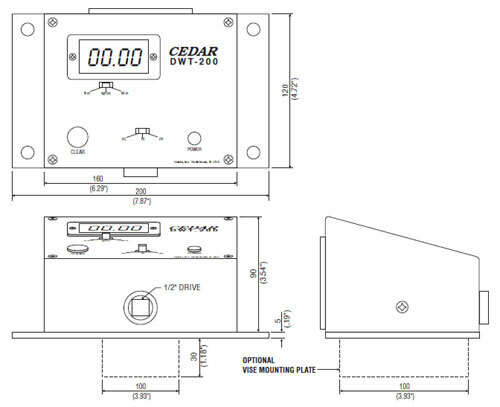 The unit is rugged heavy-duty metal construction with 1/2" square drive, 3/8" square drive adapter, and runs about 20 hours continuously on four AA batteries. The optional vise mounting plate allows you to test anywhere there is a vise. Do not use with power drivers or impact tools (Ask for DI-1M impact wrench torque tester). 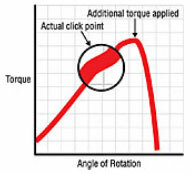 Designed to automatically capture the peak down torque, when the torque wrench clicks, even though additional torque may have been applied by the operator.